Beatrice Elena Maruca, aged 91, a life-long resident of Sewickley, Pennsylvania, joined the Lord’s Angels in Heaven on April 3, 2019, at the Southmont Nursing Home of the Presbyterian Senior Care Network in Washington, Pennsylvania. She was born in Sewickley on February 26, 1928, to the late Francesco Maruca of Martirano, Italy, and Nellie Carmella Nappel of Leetsdale. Beatrice was a beloved daughter, sister, and aunt. She is survived by her brothers, Anthony Joseph Maruca of Sewickley, and James Genaro Maruca of McKees Rocks; her niece Dina Lynn Jones (Maruca) of Washington, Pennsylvania; her nephew Dante Anthony Maruca of Sewickley; and her sister-in-law Winifred Lynn Harrington of Washington, Pennsylvania. She was also preceded in death by her sister Angela Marie Maruca. Beatrice attended St. James elementary school in Sewickley from 1933 to 1941 and graduated from Sewickley High School among the top 20 in her class in June 1945. She attended the Duquesne University School of Music from 1945 to 1949 where she earned a Bachelor of Science Degree in Public School Music Education. Her major instrument was the pipe organ. She also completed coursework toward a Master’s Degree in Music at Duquesne University. Her 40-year teaching career in music education began in 1949 at the Regina Coeli School in the Northside of Pittsburgh. She then went on to teach in various local elementary schools, including those in the Quaker Valley School District, until she moved to Wilmington, Delaware, in 1964 to teach in the Oak Grove School District. She retired from the Red Clay Consolidated School District in Wilmington in 1990. Beatrice’s love of music began at a young age when her grandfather, Gaetano “Zizi” Berardelli, paid for her piano lessons. 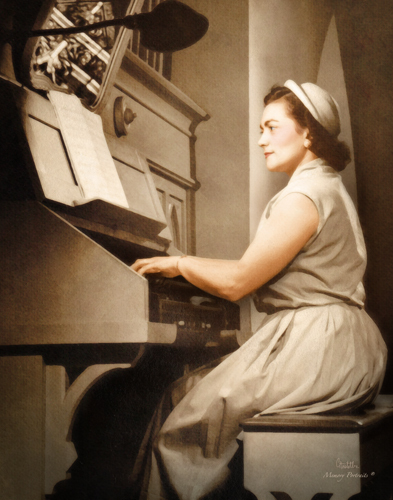 She devoted most of her life to serving God by playing the organ/piano in numerous churches. She was an organist for St. James Church in Sewickley from the age of 15 until she left for Delaware in 1964. She continued to play the organ/piano in churches in Wilmington and Newark, Delaware. After retirement, she served as a substitute organist in churches in the Sewickley and Coraopolis area. She even played the piano for church services in the nursing home up until the time of her death. She also published several religious songs, including “Spotless Lamb,” that she co-wrote with James F. Fitzgerald. In addition to music, Beatrice devoted her life to her family. She was the “rock” that we all could rely upon. She would do anything to help a family member in need. Beatrice was selfless, humble, and pious – a true saint who will be missed dearly until we meet again in Heaven. Visitation Sunday 2-4, 6-8 at Copeland’s Sewickley, 702 Beaver St. where prayers will be recited on Monday at 9:30 AM followed by Mass at 10 AM at St. James Church. Father James B. Farnan, celebrant. Burial will follow in St. James Cemetery.